Look what came in the mail yesterday! These gorgeous socks were made by Rachael. I love the simplicity of the pattern. They go well with my couch, don't you think? 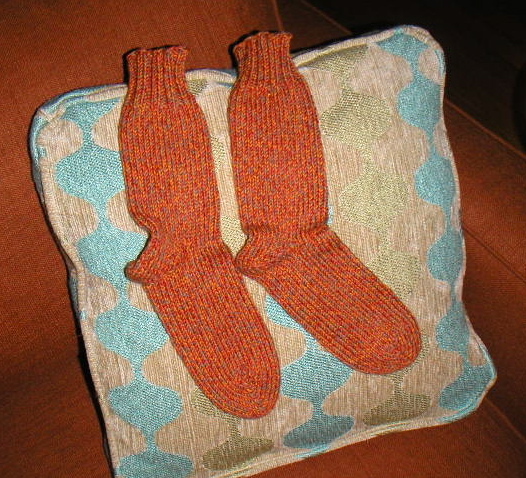 They were made with Karabella Aurora yarn. Thanks again Rachael!